Note to the teacher: Before reading Hillary Rodham Clinton: Dreams Taking Flight, ask your students what they know about Hillary Clinton. Then, after finishing the book, hold a class discussion. What did your students learn about Hillary from reading the book? 1. Hillary's first career goal was to become an astronaut. Why do you think she initially chose this as a future career? How is being an astronaut similar to the careers she has held throughout her life? How is it different? What are your career goals right now? 2. Hillary always believed in herself and was motivated to succeed from a very young age. Why do you think Hillary kept working hard when there were so many people who told her that she couldn't do well? Who and what helped her in her quest for success? 3. In the Flying Facts section at the end of the book, we learn that Hillary was a good athlete growing up, but there were no sports teams for girls when she was young. How do you feel about this? Are you surprised? 4. Many paths were closed to women when Hillary was young in the early 1960s. But much has changed since then. Referring back to the book, discuss the numerous obstacles Hillary faced as a woman throughout her life. Then discuss how life is different for women today. Why do you think the world has changed? 5. There are many inspirational messages and phrases throughout Hillary Rodham Clinton: Dreams Taking Flight. Once you have finished reading the book, go back to find and reread all of the phrases. Why do you think the author put these messages and phrases in the book? Which do you find the most inspiring and appealing? Do you think the book would be the same without them? 6. 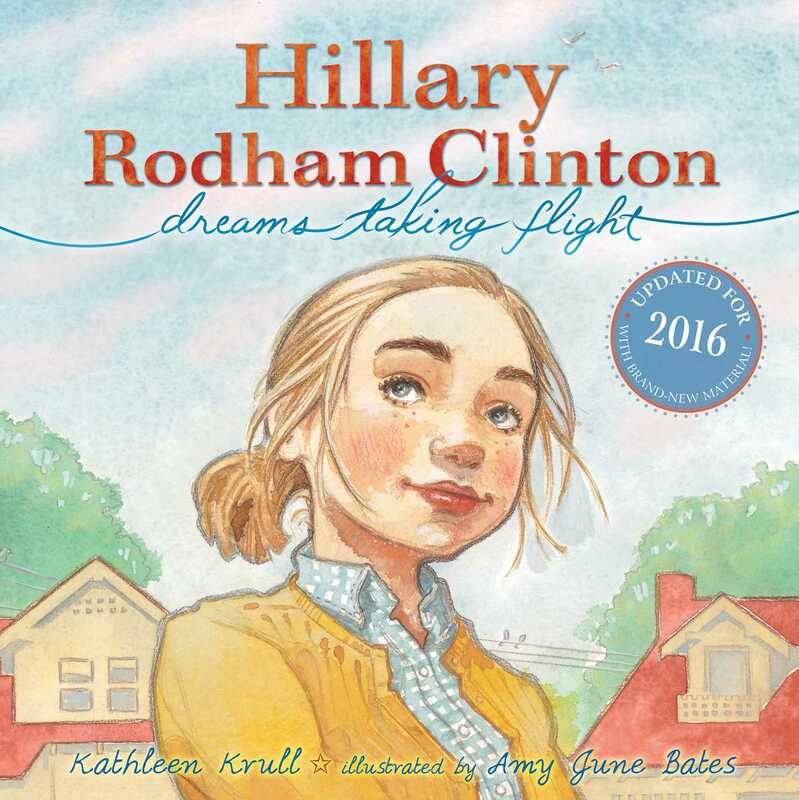 Hillary Rodham Clinton: Dreams Taking Flight features many notable historical figures, such as John F. Kennedy Jr., Sally Ride, Martin Luther King Jr., Margaret Chase Smith, Richard Nixon, Jimmy Carter, and Marian Wright Edelman. According to the book, whom did Hillary admire? Whom did she not admire? Why? 7. With your classmates, talk about the role of the president of the United States. What qualities should a person possess to be a good president? Why do you think our nation has yet to elect a female president? Do you think you will see a woman in the White House during your lifetime? Would you like to be president one day? 8. Hillary Rodham Clinton: Dreams Taking Flight teaches us about Hillary Clinton's life. What else did you discover from reading this book? What lessons did you learn? 9. Hillary Clinton became a member of President Barack Obama’s cabinet, by being appointed secretary of state. What responsibilities did she have as secretary of state? Why is being secretary of state such an important job? 10. Hillary had many dreams and ambitions throughout her life. Discuss your dreams and goals for the future with your classmates. What do you need to do to attain these dreams? 11. Hillary worked hard to make a difference in her life and the lives of others. What does it mean to make a difference? Talk with your classmates about the steps you can take to make a difference in your families, school, and community. 12. What is a metaphor? Find examples of metaphors used in the book. Discuss their meaning with your classmates. What is the job of a senator? How many senators are there in the U.S. government? How long does a senator hold office? Who are the senators from your state? What two things make Hillary Clinton a unique senator? How many women have served as senators? How many are currently serving as senators? Are there any states that have not yet elected a female senator to Congress? Which political party has sent the most female senators to Congress? When was the first woman elected to the Senate, and who was this woman? 2. Hillary has held many important positions in her political career, such as First Lady, senator, secretary of state and potential Democratic presidential candidate. Research these positions and compare and contrast these jobs. How are they similar? And how are they different? In what way has each role prepared Hillary to take on the presidency of the United States? 3. Hillary was First Lady of the United States from 1993 to 2001. 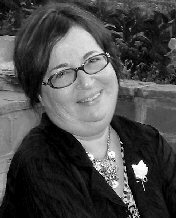 During this time, she was inspired by the work of another First Lady, Eleanor Roosevelt (1933-1945). Learn more about Eleanor Roosevelt. Consult the following website for information: www.firstladies.org. How did Eleanor's time as First Lady compare to Hillary's tenure as First Lady? Were they typical First Ladies? 4. Do further research on the organizations that influenced Hillary throughout her life. For example, find out more about the National Aeronautics and Space Administration (NASA), the National Organization for Women (NOW), and the Children's Defense Fund. 5. Are there any women involved in politics today who might consider Hillary Clinton an inspiration? Read a newspaper to find out about other politically active women on a local, state, or national level. 6. Imagine what it would be like to invite Hillary Clinton to your classroom or school. Create a time line and plan for her visit. What activities would you arrange? What questions would you ask her? What else would you do to welcome Hillary to your school? 7. Interview a woman who grew up at approximately the same time as Hillary Clinton. For example, talk with or e-mail a female relative, friend or teacher to find out if these women encountered many of the same obstacles. In addition, get your subject's view on how the world has changed for women since they were young. Report your findings to the class with either an oral or written report. 8. Hillary has worked on several issues and causes throughout her life. For example, she fought for children's rights as a young lawyer. Find out more about the other concerns Hillary has supported in her career. Which issues is she currently most devoted to, and why? 9. Did you know that there were many other women who also strived to become president of the United States? With your classmates, research and discover more about these women, who are listed in the Flying Facts section of the book. Who are they, and what qualified them to run for president of the United States? Why did they not ultimately succeed?